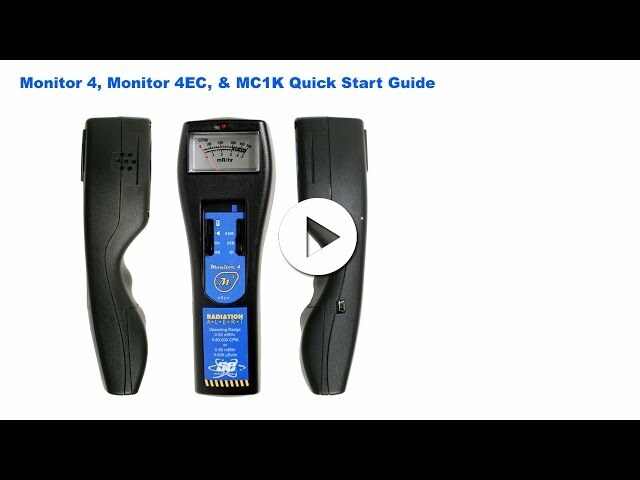 Monitor 4, Monitor 4EC, & MC1K Quick Start Guide - Radiation Detectors, Radiation Detection Equipment | Radiation Alert® by S.E. International, Inc.
Quickly learn about the analog radiation detectors from Radiation Alert and get up and running in minutes. This video will assist you in getting started with the analog line of nuclear radiation detector from Radiation Alert®. Get up to speed with your Monitor 4, Monitor 4EC, & MC1K Geiger counters in minutes with the following video. The Radiation Alert® Line of Geiger Counters and Radiation Detectors by S.E. International. Instructional videos and reviews. This video will assist you in getting started with your Monitor 4, Monitor 4EC, & MC1K.